Bacon, Macaroni & Cheese...with a touch of hot sauce! Need I say more? 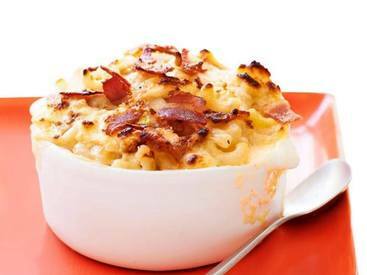 This gooey Cheddar Bacon Mac & Cheese can be on your dinner table in under 30 minutes. An easy meal is always good for busy nights!